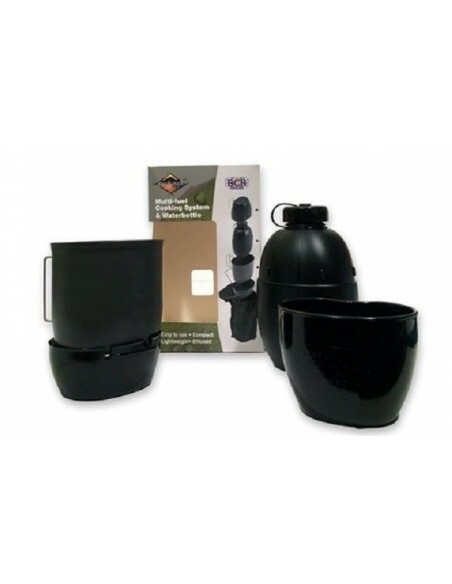 BCB BUSHCRAFT MULTI-FUEL COOKING SYSTEM, a neat, all-in-one, professional, strong, multi-fuel cooker, drinking cup, aluminium cooking cup and water bottle. 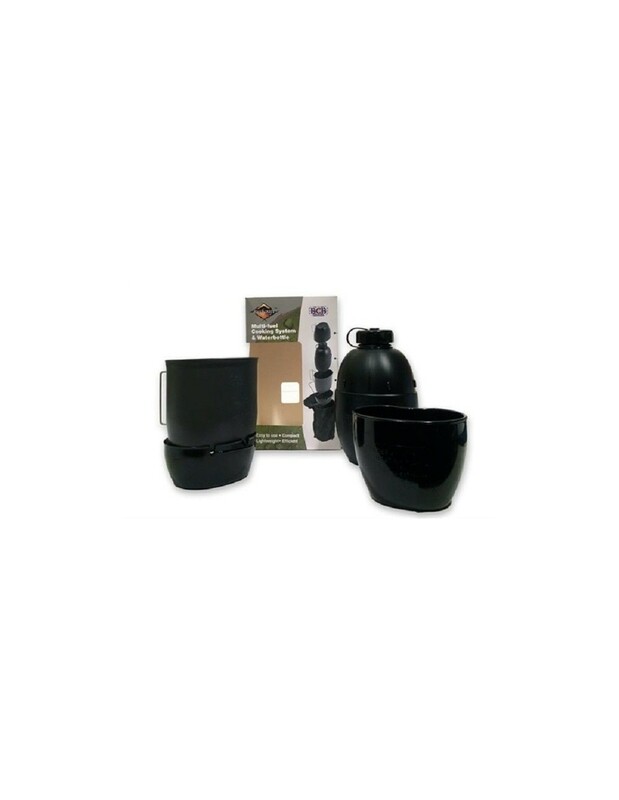 Similar to military issue, each item fits neatly inside the other and also 'around' the water bottle so it is compact for you to carry. It is shaped to fit next to you and it is all contained in a handy, belt-pouch, also included. Quick and easy to use with any solid or gel and most liquid fuels. The Boil time of 500ml of water is an incredible 5 and half minutes when using our Fire Dragon Fuel. The Metal cup is hard-anodised, giving it an easy to clean finish. Compact - all handles fold away, and it concertinas into itself.